It began on the bus from McLeod Ganj to Amritsar. Filip, Minja and I came up with the unoriginal idea of letting a die decide where to go next. 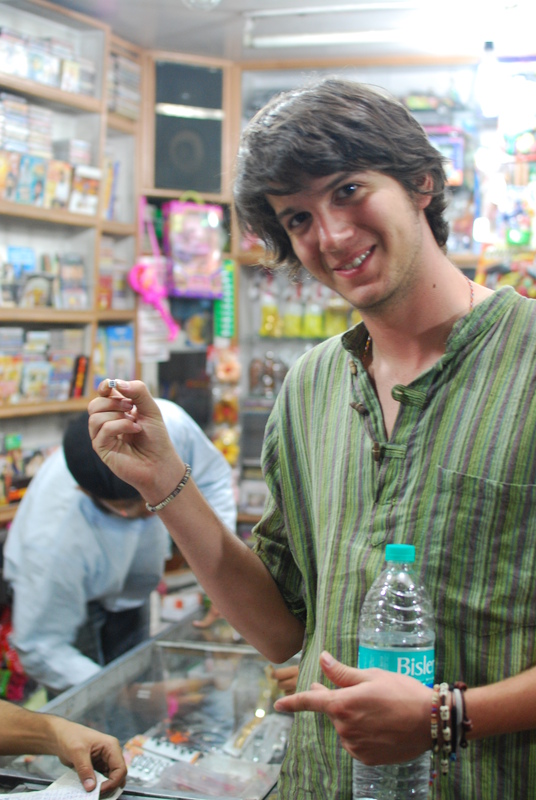 I had plans to go to Agra and Varanasi on the way to Kolkata and the other two didn’t have a clue where to go. So, we purchased a very cheap and small die from a 7 in 1 game pack from a toy shop near the Golden Temple and arrived on Sunday morning bright and early at the train station to find the perfect roller. We wanted someone who would understand the enormity of the task assigned to them, so they would probably need to speak English and also someone with a good character so they’d become part of the game. 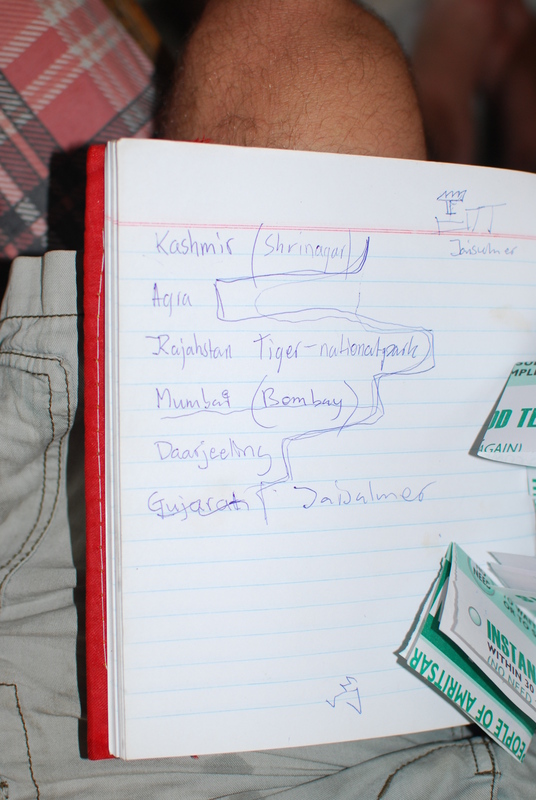 We’d already randomly assigned the six places we’d like to visit to the six sides, some wacky and some obvious, through picking out of a tibetan style hat. 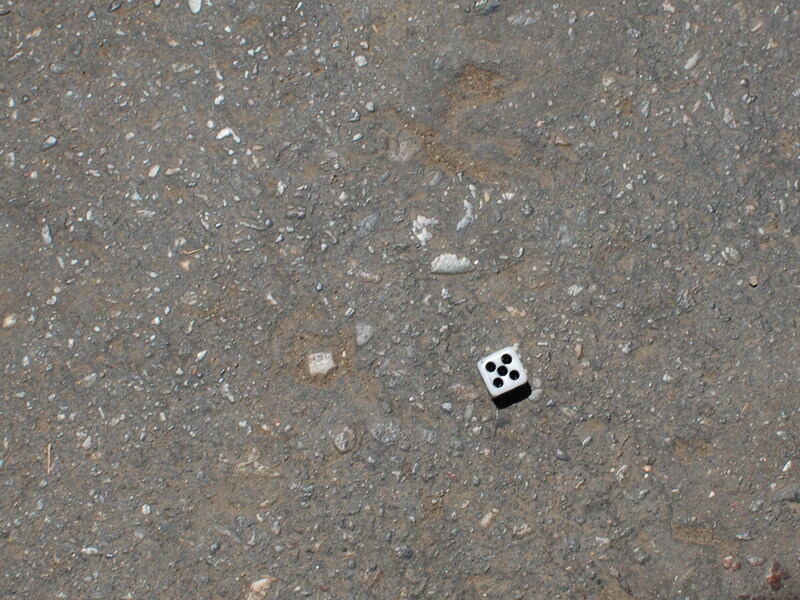 It was necessary to do this because the die was lopsided and had a tendency to favour the 2 and 5. Why did I waste my money on that stupid hat? As we announced our intentions to a few of the hassling rickshaw drivers on the train station forecourt a crowd started to gather. I felt like Dave Gorman on one of his missions or Dave Cameron on the campaign trail. One Sikh man turned us down, “You don’t want a rickshaw then it’s not my job” and out of nowhere the perfect gent stepped into the circle to take centre stage and do the deed. 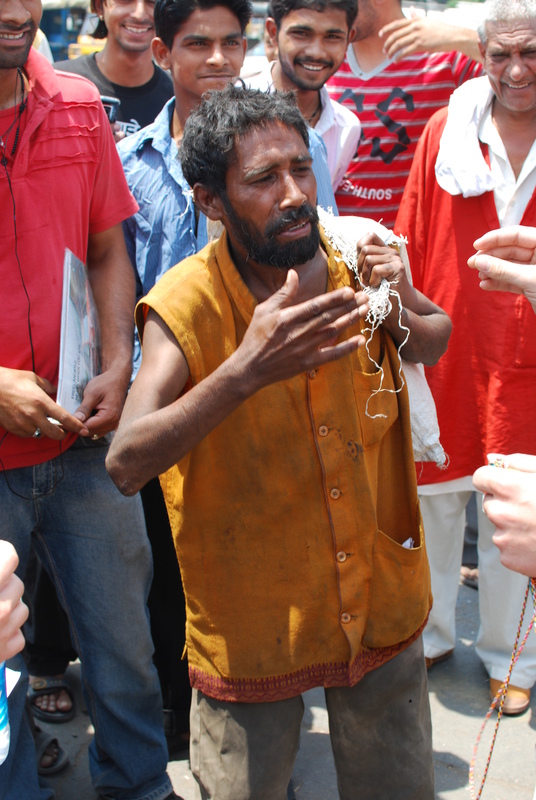 The five foot tall drunk in orange rags was explained his duty in hindi and kindly obliged to accept the challenge. A throw to the floor and the number, as half expected but not certain, was a 5. 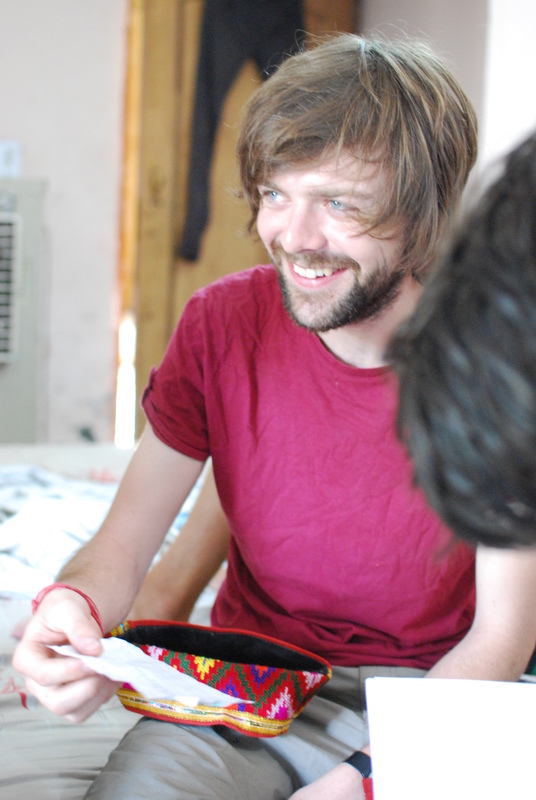 We were off to Jaisalmer. That is the place Lonely Planet says you’re mad as a dog to go to during the summer. We went straight to the station manager to ask for advice on how we can complete our mission and he sold us an interesting but extremely confusing train timetable, Trains at a Glance. We roughly deciphered a route from the map but after going back and forth from the booking and reservation offices left without tickets and decided to return on the day to see if we could blag it. Monday morning and we’d discovered the previous afternoon from helpful travel agents that it was best to go from Jalander City (70km from Amritsar) and get the 13.30 train to Jodhpur and then the day after get the 23:something from Jodhpur to Jaisalmer. A massive mission but we had to complete it because the die had spoken. A two hour government bus to Jalander and with half an hour to spare we’d made it and had the vital 2nd class tickets to Jodhpur. We of course blagged it all of the way in sleeper class to the annoyance of some polite families who hadn’t the heart to tell us to move and a very kind conductor who hadn’t the language skills or time to fine us. We decided to hop off the train early in order to sleep properly at Bikaner where we had a fantastic day waiting for the 23:something night train the next day to Jaisalmer. We did most of the sights the town has to offer. 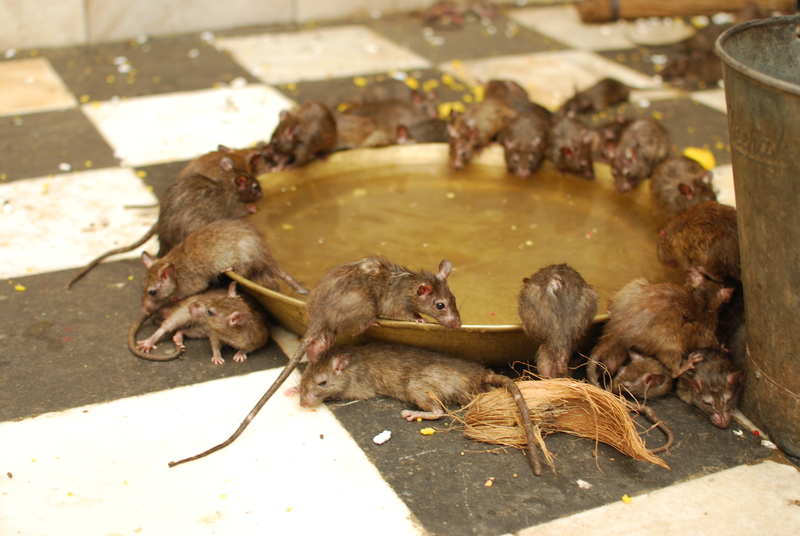 A camel farm/research centre (the only one in the world), a rat temple (also, probably the only one in the world) and the old fort (one of many in Rajasthan). When we arrived in Amritsar off the bus we were standardly besieged by a bunch of rickshaw drivers all vying for our business. We chose one and tried three hotels that were all full so we ended up in the delightfully scummy Hotel Paris. Champes Elysee chic it was not. 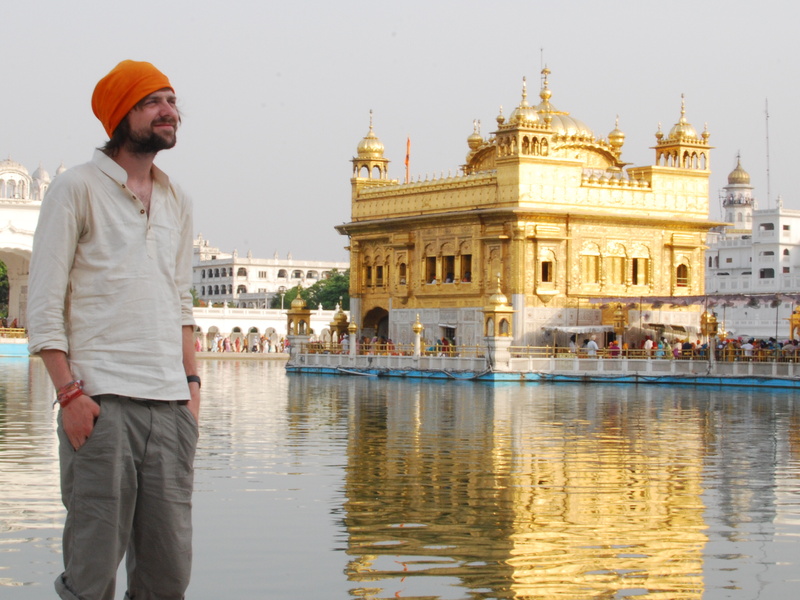 After a quick shower we were off out to the Jewel in Amritsar’s crown, the Sikh Golden Temple. It really is an amazing sight, especially as we visited at dusk. I was surprised there weren’t actually that many tourists in the complex so we had to have our pics taken with quite a few Indians. After perusing the temple at a leisurely pace we went to the infamous free dining hall for a respectable meal of dal, chapati and come delicious rice pudding. We then got a two hour tour of the kitchen area and were told all about Sikhism but an ethusiastic volunteer guide. The best bit about the Golden Temple is not the forty odd pillars they stole from the Red Fort in Delhi, It’s not the intricate gold carvings and marble inlays, it is the chapati machine! That beast is working 24 hours a day to feed the 60-80,000 visitors per day. It can make 7,000 chapatis an hour. All in a Bertha style fashion. Sunday morning we were up early to hit two more essential Amritsar tourist spots. First up was the Hindu cave temple, the Mata Temple. Compared to its Amritsari brother the Golden Temple, the Mata Temple seemed a bit gimmicky. Perhaps it is disrespectful to say so, it is a holy place after all but I think I was expecting some kind of underground network of caves with stalactites and natural pools. 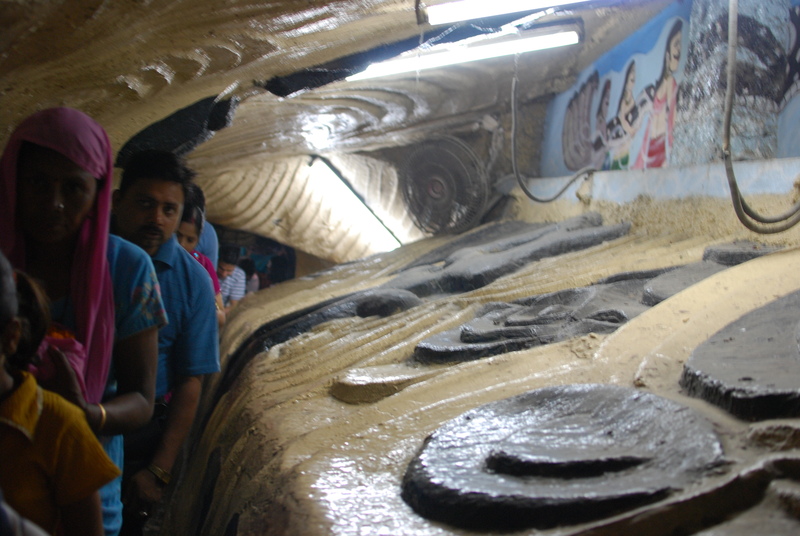 It was good fun climbing through the man-made cave like walkways and the paintings were vibrant but I wouldn’t say it was a must visit. We did however get some amazing naan bread style snack smeared with herb butter stuffed with what I think was parsnip from a street restaurant just outside. 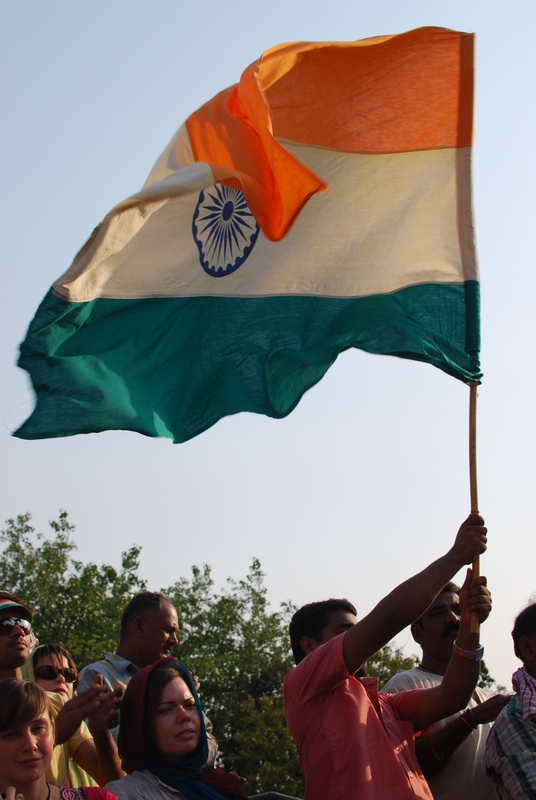 The afternoon was taken up with a trip to the India/Pakistan border for the daily border closing display. A fantastic demonstration of patriotism that the English can only muster 10 tins down during an England semi-final. Perhaps it is because we were sat for over an hour and a half on concrete but I think the festival like build up to the event was actually better than the leg throwing antics of the soldiers. Of course the draw of free food at the Golden Temple could not be resisted for too long, so we headed back there for Sunday’s evening meal. After stop offs at a chicken restaurant in the dodgy alcoholic area of town where Minja got a rock thrown at her and Dominos pizza for a one pound margarita. They change the menu every four hours at the temple so it was aloo gobi for supper followed by a spot of volunteering. 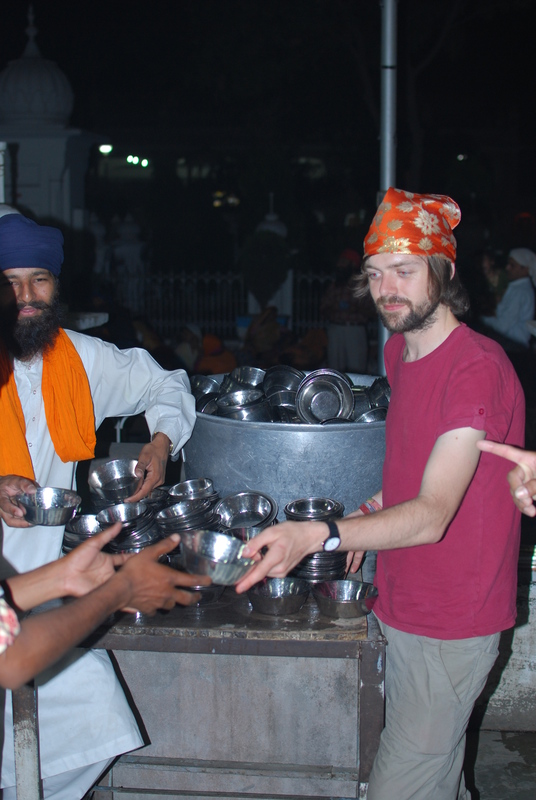 Filip and I handed out the chai bowls to visiting pilgrims for 15 minutes which was greatly appreciated by the old sikh men and mad me feel not so bad for taking the extra chapati and double round of tea.